I can’t remember now how this book ended up on my reading list. It’s been there for years. I have a feeling it was a Richard & Judy read when it came out, and I saw the programme and fancied reading it. I’ve always enjoyed epistolary novels, from Adrian Mole when I was younger, to the Christian diaries of Adrian Plass (a must-read! ), through to Bridget Jones’ diary when I was at university. Because letters and diaries always recount the past, you know the action turned out alright, and they also recount entire conversations which in real life one generally can’t do. Yet, somehow, I always find them engrossing despite their innate faults as a style. Over the years, I’ve read quite a few fiction books and watched various films based around the First and Second World Wars. It’s got to the stage where I’ve said I’m not going to read/watch anymore because the emotional toll is huge. But the pull is equally huge. I never lived through the war, nor do I know any first hand stories about it, but it’s a period I’m intrigued by. I find myself wondering how people coped with the constant death and loss they suffered, and the continual hardships of the period. But somehow, the picture that comes through is of steadfast love, community spirit, people looking out for each other, and strong faith. It feels like the world today lacks that spirit that made everyone come together and work together. If only we could recapture that spirit in modern Britain – but one gets the impression that the spirit could not exist outside the hardship. This book covers some of the stories (fictionalised) about the occupation of Guernsey. The Channel Islands were the only part of the British Isles to be occupied during the Second World War, and thus had an experience that the rest of the country did not. Whilst this book is full of lightheartedness, romance and a gentle story, nevertheless it pulls at the heart strings to hear, among other horrors, what happened to the animals on Guernsey, and what happened to Elizabeth. Somehow, this is the best kind of book for dealing with those awful, awful kinds of happening that went on, because it helps you see the love that still existed and gave people hope, even through the pain. One of the best films I watched about the war is The Pianist. It’s the story of a Polish Jew, Wladek, who plays the piano. The war breaks out in Poland and eventually Wladek is forced into hiding. He is discovered by a German soldier, hiding in the ruins of a ghetto. In order to prove he is who he says is, and a piano player, the German tells him to play something. The German is so moved by the performance that he helps Wladek to survive. As a writer, these resonate, because it shows the importance of art in society. We may think that society is about survival, and about what we need to eat, drink and clothe ourselves, and the money we need to do it, but without hope, and without the inspiration of a higher ideal – God, love, the emotions of music, art, or books – we are not truly human. Ah, that sounds like it’s a country thing – I’m in the UK – looks like you are in the US, relates to the different copyrights. Thanks for letting me know, though! Appreciated. You said you’re trying not to read about WWII anymore, but if you ever decide to go back to it, I’d recommend Konnilyn G. Feig’s “Hitler’s Death Camps”. It’s not fiction, but a well-research account of the construction, administration, and impact of the major death camps throughout Europe. It’s truly haunting. I don’t think it’s a particularly famous book. I couldn’t find an ebook version of it, but I recently bought a used copy on Amazon for less than five bucks. 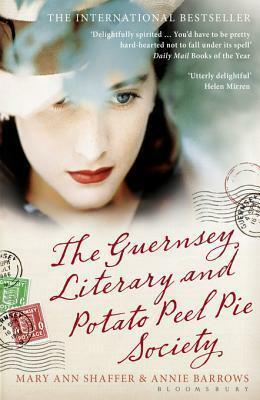 The Guernsey Literary and Potato Peel Pie Society sounds interesting. Is it a love story? It never occurred to me before that books and movies that talks about the past would turn out well, but you have a point. Guess I read and watch about them more now, but yes the emotional toll is huge. Maybe I’ll find myself crying over it. 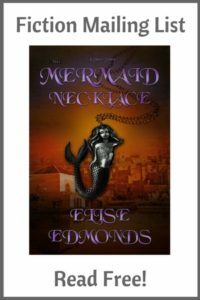 Yes there’s a romance element to the plot. It’s a great book!